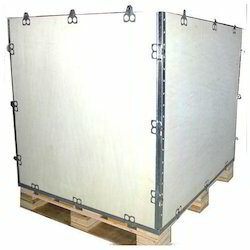 We are the leading manufacturer and supplier of Plywood and Pallets Block to our valuable clients. We make available a wide variety of Plywood Block in the market. We provide these blocks from our end which are extremely strong in structure and aid to the environmental stability as well. Our adept and seasoned professionals are highly competent in designing a broad assortment of blocks in strict adhering to the industry quality standards. The flawless designing on the standard-quality material exhibits our mastery in crafting these products.